Kirsten's area of expertise is in the Neurosciences with a particular in Parkinson's disease and dementia. She works as a community Parkinson's disease Specialist nurse for North Ease London Foundation Trust and is the Team Leader for Neuroscience Specialist Nurse Service. Kirsten works at City, University of London one day per week which is usually a Wednesday. 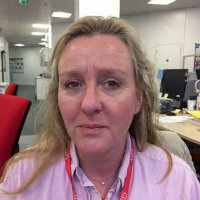 Leadership and management of teams, non medical prescribing and Neuroscience Nursing are some of the topics Kirsten lectures in at City, University of London. Turner, K. (2017). Reducing the toll of Parkinson’s. Nursing Times, (42). Turner, K. (2005). Group clinical supervision: supporting neurology clinical nurse specialists in practice. British Journal of Community Nursing. Marks, L. and Turner, K. (2001). Drooling in Parkinson’s Disease: A novel STL Intervention. International Journal and Communication Disorders: Vol. 36, Sup 2001.pp.282-287..
Giovannoni, G., Turner, K., O'Sullivan, J.D., Manson, A.J. and Lees, A.J.L. (2000). Hedonistic homeostatic dysregulation in patients with Parkinson's disease on dopamine replacement therapies. Journal of Neurology, Neurosurgery & Psychiatry, 68(4), pp. 423–428. doi:10.1136/jnnp.68.4.423 . Colzi, A., Turner, K. and Lees, A.J. (1998). Continuous subcutaneous waking day apomorphine in the long term treatment of levodopa induced interdose dyskinesias in Parkinson's disease. Journal of Neurology, Neurosurgery & Psychiatry, 64(5), pp. 573–576. doi:10.1136/jnnp.64.5.573 . Acland, , Churchyard, , Fletcher, , Turner, K., Lees, and Dowd, (1998). Panniculitis in association with apomorphine infusion. British Journal of Dermatology, 138(3), pp. 480–482. doi:10.1046/j.1365-2133.1998.02128.x . Lees, A. and Turner, K. (1997). Patient information booklets on Continuous infusion and Intermittent Injection to accompany the video.